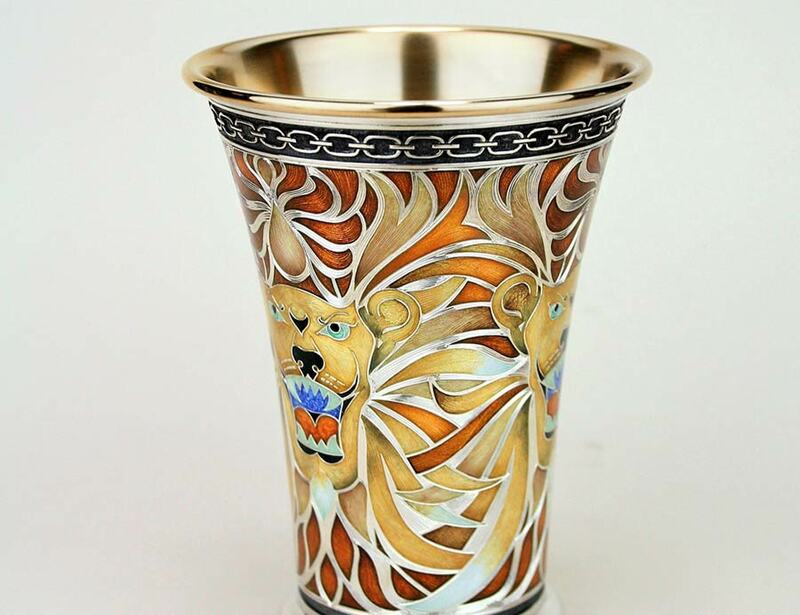 Engraving for enamel is a highly skilled and distinct aspect of hand engraving. It enables artists to fuse coloured enamels (essentially powdered glass) to precious metal objects. Champlevé and basse-taille are the two principal enamelling techniques that require the surface of the metal to be hand engraved before the enamel is applied. The ground glass is applied wet using a goose feather quill and can be either transparent or opaque, with each creating a very different effect. In champlevé troughs or cells are engraved leaving thin borders of metal to contain individual enamel colours. When fired the metal portions remain visible and serve to create the framework of the design. 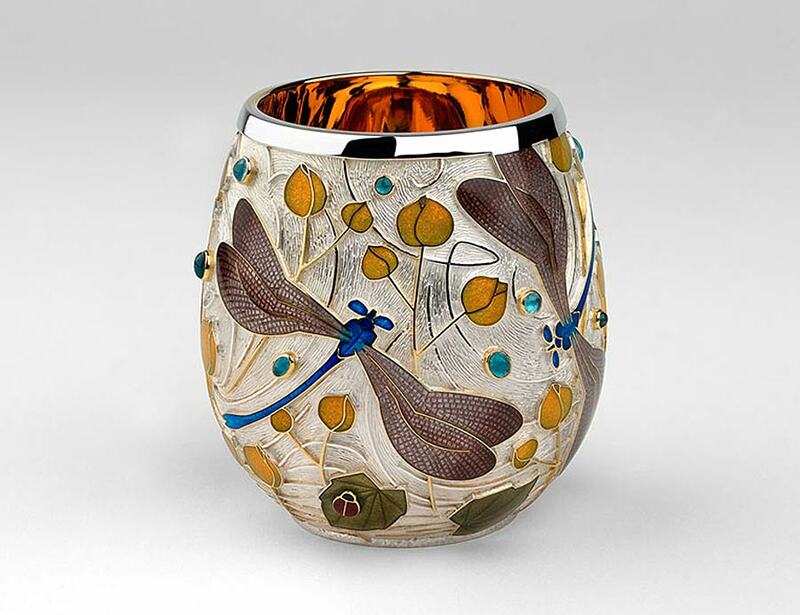 The firing of the whole piece is highly skilled as different enamels fire at different temperatures. The often complex engraving and carving seen through the coloured enamel can be a tour de force of the engraver’s art. Basse-taille enamelling is similar to champlevé with the artist engraving a pattern in low relief over which the enamel is applied. By varying the depth of the engraving in different areas the engraver can create a brilliant interplay of patterns which add depth and variety to the surface of the piece. We are very fortunate that we have such an extraordinary group of practising artist enamellers working in the UK today. 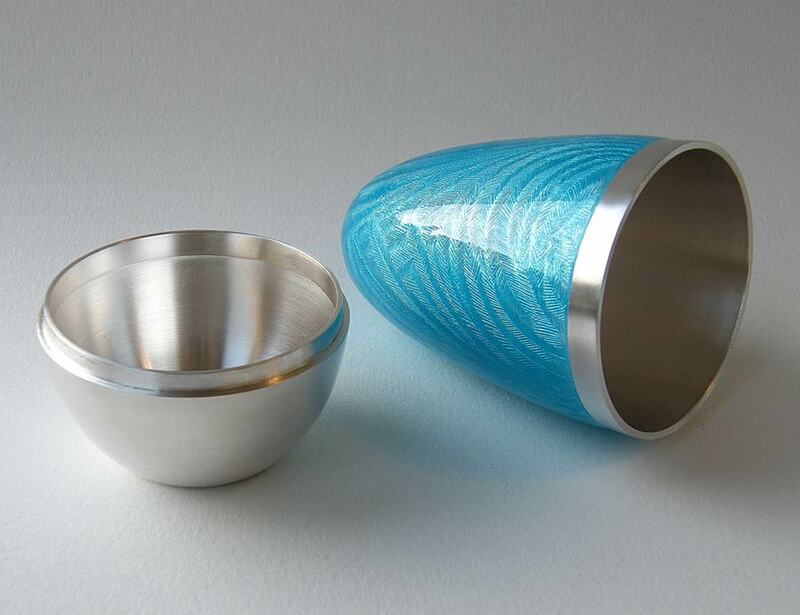 Click the images below to see the work of some of our members who also practice enamelling.